What follows is an excerpt from a book in progress. This is the opening segment of the chapter on owls in mythology. Please do not reproduce (but linking is fine). When asked to define mythology in one sentence, comparative mythologist Joseph Campbell said that would be like trying to define life in a single sentence. He then went on to say that his simplest on-the-street definition of myth would be a story told almost exclusively in symbolic terms. Mythology as a word has two parts, the prefix myth, which by most definitions equates to a fable, or something that isn’t true. All too often the word myth implies a purely fictitious narrative that was told and re-told throughout ancient cultures. The suffix ology means “the study of,” so mythology means the study of myths. Looking in the dictionary, the word myth means something that is not true, a widely held but false belief or idea. When using the term myth, most people will hear it as something without any meaningful value. Campbell spoke of two schools of thought on the study of myth. The objectivitist would view myth as nothing more than primitive fairy tales, something obsolete. A dusty book on a shelf, full of old fables that can be scrutinized by the rational academic. The second school, the subjectivists, would see myths as something much more vital, a timeless reflections of universal truths, values and archetypes. Myths carry a significance in our lives, playing an important role. As I proceed forward, I will be weighting the subjectivist side of the scale with a disproportionate zeal. 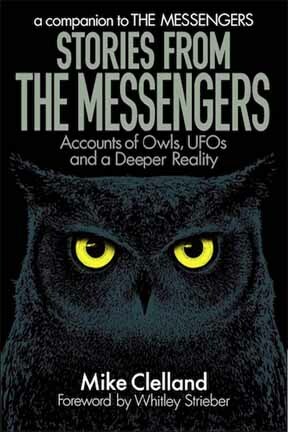 If the ideas in this book seem biased towards the mystical, that’s because they are. The owl has two major symbolic meanings. One is wisdom, the other is death. These divergent meanings probably stem from the owl itself. With their huge eyes and intense gaze, they have an aura of intelligence and regal serenity. A biologist would see those huge eyes as a well evolved tools for hunting in the dark, the poet would see those same eyes as being able to penetrate into your soul. Owls don’t simply appear as wise, they seem too wise. So much so that they come across as mystical. Owls can see into the darkness, and this is the overriding metaphor for it’s spiritual powers. It can see into the other world, the underworld, the realm of the dead or the dark world. Like the shaman, the owl can travel to the other realms and then come back with it’s message. The owl as messenger is interwoven into much of this lore, whether delivering wisdom or a portent of death. The ancient owl motif is connected to the feminine. The day is masculine and the night is feminine, with the sun and moon as counterparts. The 28-day lunar cycle equates to a woman’s cycle. Owls tend to gravitate towards goddesses and fertility icons. In ancient Babylon, the hooting of an owl at night was thought to meant the cries of a woman who had died in childbirth, now searching for her lost baby. This is a grim insight into an era where giving birth was dangerous, often the cause of a young woman’s death. The owl, as a symbol, can be a total downer. This role is paralleled across the ages and across almost every mythic tradition, the owl is seen as an evil omen. Nighttime must have had an entirely different meaning before the electric lightbulb, and all sorts of folklore evolved that painted the darkness as something ominous and sinister. The owl represents the night, and thus it became the totem for all the menacing things hidden in the dark. That includes the internal darkness of the mind and the subconscious. 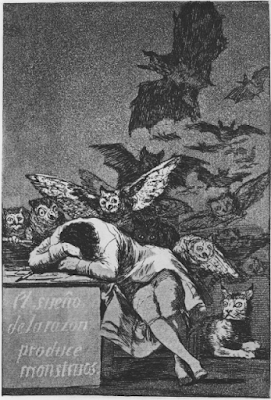 Goya, no stranger to metaphoric symbolism, used owls (along with bats and cats) in a depiction of a nightmare. 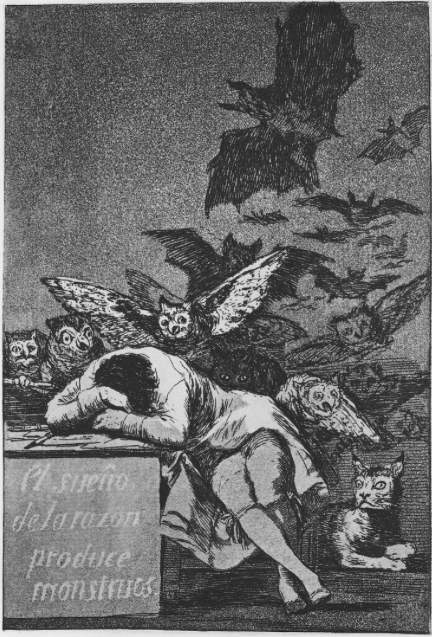 In his 1799 etching, The Sleep of Reason Produces Monsters, a group of sinister owls hovers over the tortured sleeper. Darkness, the domain of the owl is equated with death. This connection is easy to understand, the owl is an animal of the night, rarely seen in the daylight. Death, darkness and owls can all be seen as sinister. Even today, seeing an owl can be unsettling, there is something about them that projects a menacing intensity. In China, the owl is called the bird who snatches away souls. For most of the world’s cultures, the owl is an ominous sign. Many traditions believed that merely hearing it’s screech in the night was a harbinger of death. In Hungary, the owl is called the bird of death. This storyline continues right now in real stories from real people. I have collected a wealth reports of owls showing up either right before a loved one dies or just after, so many that they get their own chapter. I really like where you're going with this, Mike. There is no better way to explain your emerging philosophy than through Campbell's references in the Hero's Journey, in my opinion. It dawned on me as I read again his words that we are being exposed to your personal Hero's Journey, a fine, brave and kind thing to do for readers. 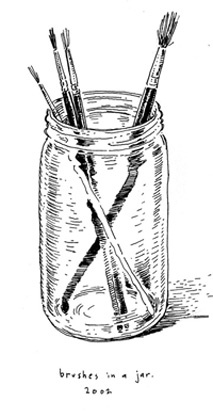 I'm also finding you write as well as you draw. 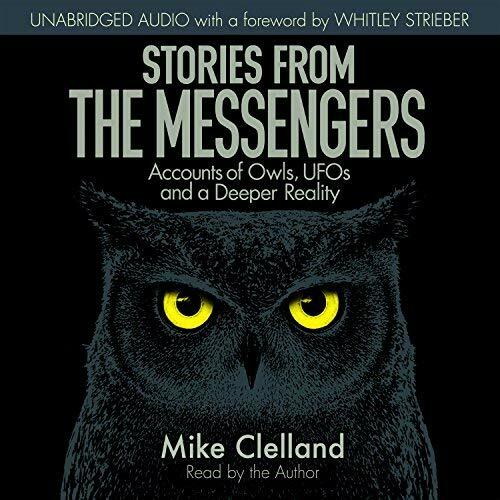 There aren't many good story tellers who treat the mystical in a fair contemporary manner. Good on you. Wisdom and Death 'divergent' meanings? To me the greatest wisdom attainable stems from the realization (and acceptance) of our own mortality. Had a weird experience two weeks ago... In proper high strangeness style, the account I'm sharing could be dismissed by the fact that it occurred during an ayajuasca retreat. Also, it happened while I was in bed trying to sleep. So whether or not an excess of DMT was in my system or I was having sleep paralysis, I don't think is the point. The experience was profoundly affecting and quite out of the ordinary. After a night of drinking ayajuasca and having a challenging though mostly gentle experience (This was in the Northwest with a Peruvian trained shaman at a beautiful healing center with lots of nature and alder trees around), I was worn out and went to bed. I did not feel in an altered state anymore, only more relaxed than usual. 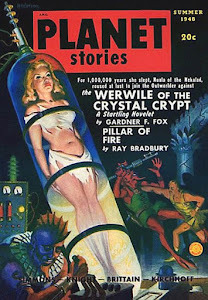 It was early in the morning that I awoke to some peculiar sounds coming from outside the bedroom window. I can best sum up the sound as an "owl ritual". It consisted of three sounds in a slow rhythmic, repetitive cycle. And on and on intermittently for what seemed like at least 20 minutes. 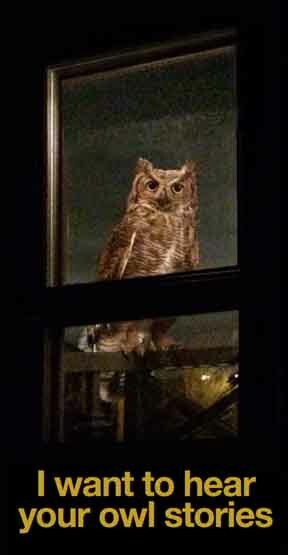 The hooting was deep and loud and sounded like a giant owl. None of the sounds were quiet. They were preventing me from getting much needed sleep. I never sat up but tossed and turned wishing I had the energy to get up and investigate or that it would simply stop. I felt quite lucid but in retrospect think I must have been in a hypnogogic state. The next morning I shared my story with four different people sleeping in the same structure and no one else had heard a thing or could figure out what I had heard. We were the only group staying at the retreat center this weekend. I'm still unsure of what it all meant but I feel it was a gift to hear a message/ritual from an owl. 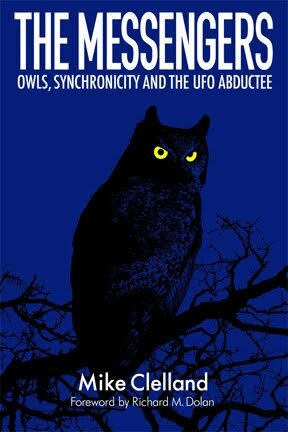 Especially after researching the mythological meanings behind the owl.